Summary: When the words in a dictionary get bored, they decide to have a parade. 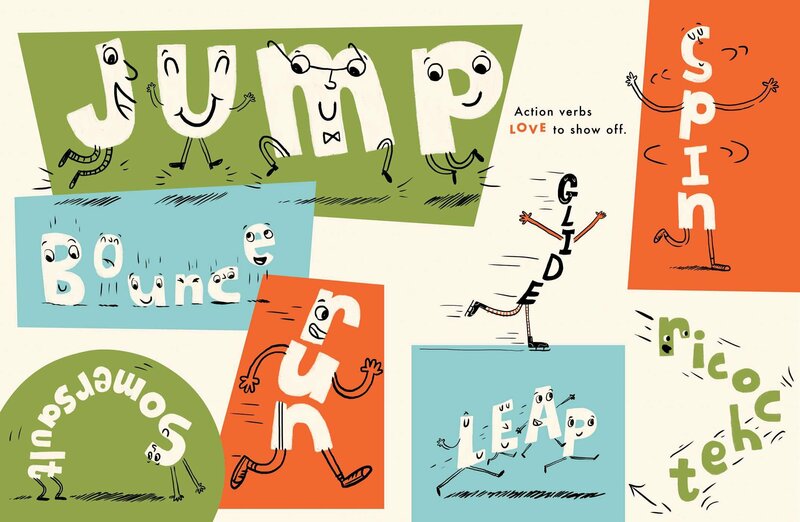 There’s the onomatopoeia marching band (“Clang”, “Crash”, “Boom”), the showy action verbs who jump and spin, and the palindrome family reunion, featuring Mom, Dad, and Bob. When non-rhyming words angry and orange feel left out, and unruly interjections keep interrupting, Noah Webster has no choice but to herd all the words back into his dictionary. Words can spin out of control, Mr. Webster says, and Mr. Roget has no choice but to agree (“Yes. True. Verily”). 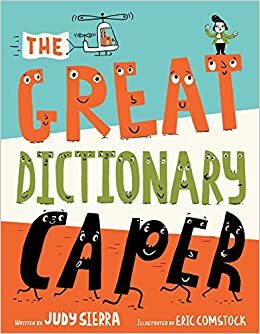 Includes a glossary that defines all the different categories of words. 40 pages; grades 1-4. Pros: Teachers will find a wealth of information about words presented in a fun way that will have kids thinking up their own examples. Cons: Without some adult assistance, this book may not be too engaging to kids.